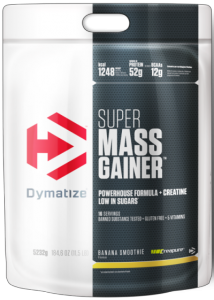 Dymatize Super Mass Gainer is a premium mass gainer with an appropriate calorific profile designed to meet the particular needs of bodybuilders, powerlifters and hard gainers in the bulking phase. Especially during phases of intense training, it is essential to ensure an appropriate and target orientated nutrient intake. 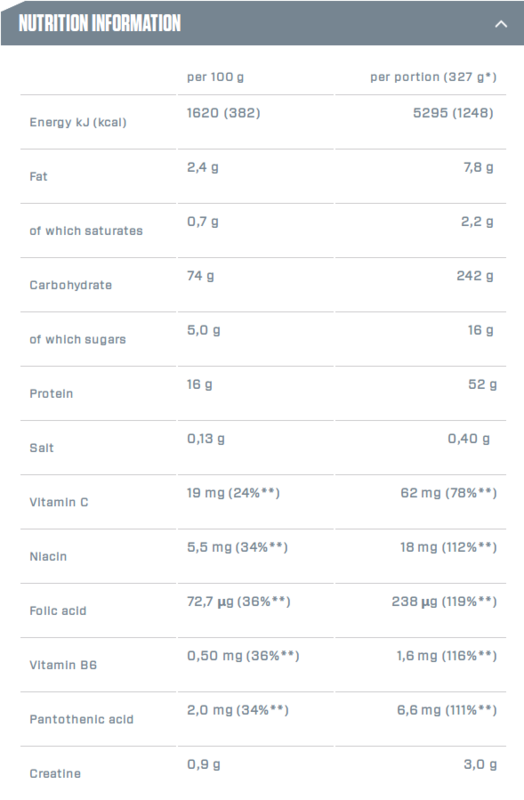 A target orientated nutrient intake helps to support muscle growth, improve training performance and reduce fatigue. Our “Powerhouse Formula” is a special matrix developed to deliver a powerful combination of creatine, carbohydrates and proteins, satisfying your specific demands during the bulking phase. 1 portion per day, after workouts. Mixing instructions: (1 portion): Add 3 scoops (included) to 700 ml water and mix it thoroughly. Consult your physician before using this product. Women during pregnancy and breastfeeding consult with your doctor about the possibility of product usage. If you are under medical supervision for any reason, consult your doctor before starting to use the product. Reduce or discontinue use if signs of nervousness, tremor, drowsiness, loss of appetite or nausea. Not intended for persons under age 18. Keep out of reach of children. Before using this or any other dietary supplement, as well as before you start training program, consult your physician or other expert. Do not exceed recommended dose. During use of the product consume enough water. Keep out of reach of children. Do not use supplements as a complete replacement for a balanced diet!